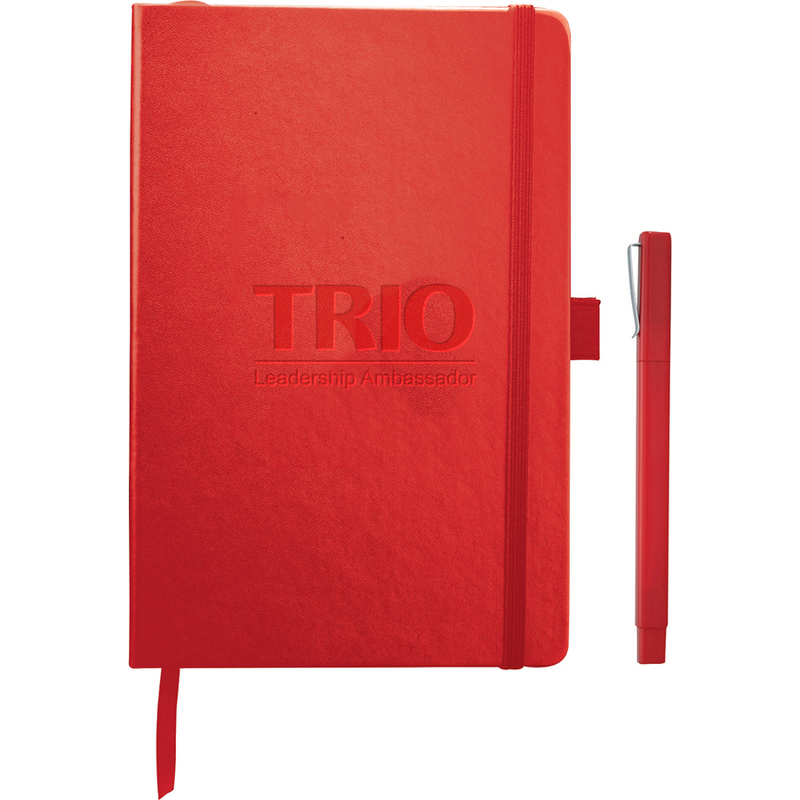 Set includes Nova Bound JournalBook™ and Ambassador Square Ballpoint. Faux, leather like hard cover journal with built-in elastic closure. Ribbon page marker. Expandable accordion pocket. Includes 96 sheets of lined white paper.